Guinness bar signs and Guinness wall art include designs made of wood or metal and also features mirrors and neon signs. 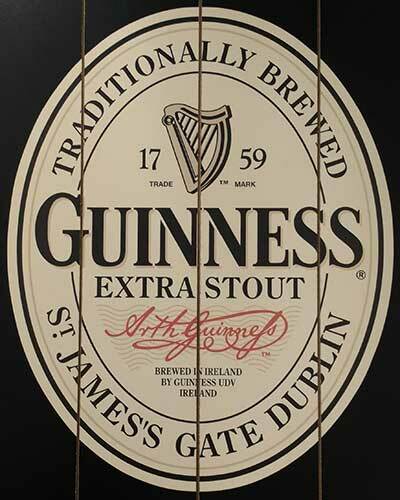 The collection of Guinness bar signs at The Irish Gift House is suitable for decorating any room from your pub to the man cave and will also work well in the garage. This mirror is set in a handsome wooden frame that is decorated with the Guinness logo. 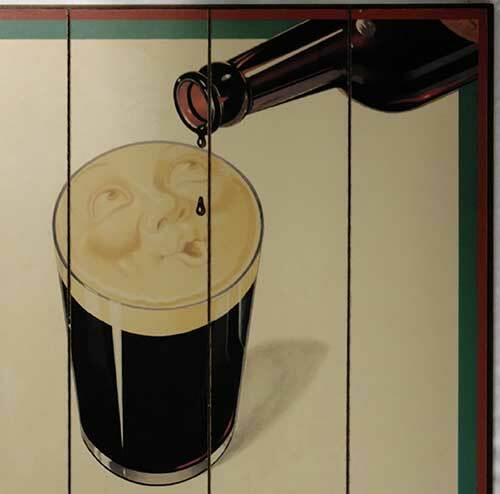 You may wish to browse our Irish pub signs for additional decorations for your home bar, but don't miss our huge selection of Irish blessing plaques that offer many more ideas to compliment any Guinness bar sign. Accessorize your bar with the assortment of Guinness merchandise that is readily available from The Irish Gift House; you will find an eclectic collection of gifts that ranges from Guinness alarm clocks to Guinness pouring spoons. You may also wish to peruse our selections of Guinness glasses and the assortment of Irish beer glasses; they are an entertaining way to lift a pint of the black stuff. We also have a nice display of Irish whiskey glasses and Celtic goblets, so no matter what you are drinking we have the proper vessel for you to imbibe the spirit of your choice. For a personalized touch, please take a look at our assortment of Irish coat of arms barware that includes Irish wine glasses; you will be equally proud to extend a set as a gift or keep them for yourself.